European sea bass (Dicentrarchus labrax) is one of the most important species for Mediterranean aquaculture. It is therefore crucial to establish appropriate feeding management regimens and to gain better knowledge of nutritional requirements for this species, exploring not only new feed ingredients and feeding strategies, but also understanding the molecular mechanisms that regulate the metabolism of nutrients. Accordingly, transcriptomic analysis represents a useful nutrigenomic discovery tool for identifying the molecular basis of biological responses to nutrition as well as nutritional biomarkers in fish. 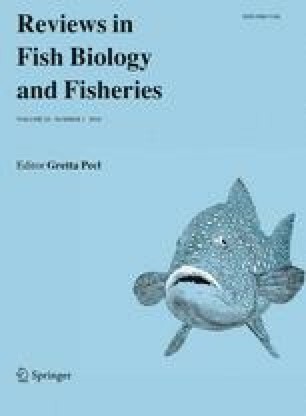 This study evaluated how the transcriptional activity of genes controlling lipid metabolism in European sea bass were modulated in a tissue-specific manner in response to fasting and refeeding. Such approach focused on a panel of 29 genes in which desaturases, elongases, triacylglycerol lipases, fatty acid-binding proteins, β-oxidation and oxidative phosphorylation enzymes, phospholipid-related enzymes, and transcription factors that regulate lipid homeostasis were represented. Fasting activated the lipolytic machinery in adipose tissue, liver and muscle of European sea bass, whereas markers of lipogenesis were downregulated in liver and adipose tissue. Genes involved in phospholipid and oxidative metabolism were differentially regulated in liver and skeletal muscle of fasted European sea bass. However, 12 days of refeeding were sufficient, for the most part, to reverse the expression of key genes. Overall, our data clearly showed a tissue-specific regulation of lipid-related genes according to the different metabolic capabilities of each tissue, being the brain the most refractory organ to changes in nutrient and energy availability and liver the most responsive tissue. The online version of this article (doi: 10.1007/s11160-015-9408-8) contains supplementary material, which is available to authorized users. This research was partly funded by AQUAEXCEL EU 7 FP Project (Grant Agreement 262336): Trans National Access Grant to S.R. for accessing to IATS-CSIC facilities. This work has been partly funded under the EU seventh Framework Program by the ARRAINA Project N288925: Advanced Research Initiatives for Nutrition & Aquaculture.